Ages 7-18 * No experience necessary * Space is limitedSchool of Rock camps are the perfect "amped up" version of our Performance Program, and it is our goal that each kid walks away with not just newfound musical abilities, but fantastic memories and friends as well! Here are the details for the camp:Camp will take place every day from Monday to Friday 9:00 am â 3:00 pm, with a 45-60 minute lunch break at noon. If you're worried about getting your young rocker to School of Rock, visit our affiliates at HopSkipDrive https://cm2v.app.link/EXboQrEPbE and sign up for their awesome and safe transportation service! Your first ride is free with code LAROCK!Please send your kids with lunch and snacks, or $10 to buy lunch at a local restaurant (i.e. Chinese food or pizza) to be DELIVERED (We will not leave the premises at ANY time). If any of your kids have allergies or special dietary needs, please let us know. Guitarists just need to bring a guitar/pick/strap, bassists a bass/strap, and drummers sticks. Everything else including amps and cables will be provided here at the School. Here is what a typical day of camp looks like: Depending on the total number of kids, we will be splitting into âbandsâ of 5, and each group will learn between 5 and 10 songs in just a week, depending on how much they can handle as a band. 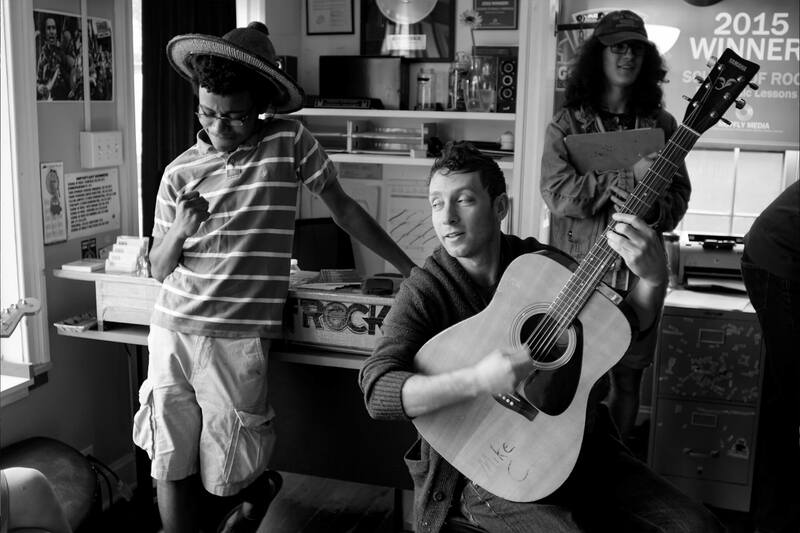 At the end of the week, the kids will perform a live rock concert Friday at 1 pm for friends and family! The set list will be decided first thing Monday morning after all the kids have been introduced to each other and the staff. We will do our best to gauge what the kids like most and what will help each of them progress the most as musicians. If you must cancel we require at least one week's notice in order to issue you a full refund. If School of Rock must cancel for any reason (ie low enrollment, staffing, etc. ), you will receive a full refund immediately. If you have any questions, please call us at (310) 379-2288.